The Wine Advocate - The beautiful second wine is Alain Vauthiers 2011 La Chapelle dAusone. 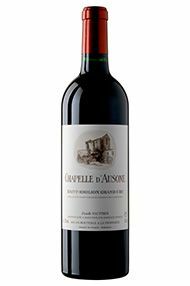 It possesses a dense ruby/purple color along with the nobility, class, finesse, precision, purity and copious blue and black fruits intermixed with a floral component, good minerality, and a medium-bodied, intense, rich personality. Never heavy or over-bearing, this is a beauty. 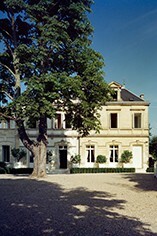 As I have written many times in the past, the Vauthiers are making a second wine that is greater than many of the outstanding wines produced at this estate in the 20th century. This wine should drink well for 15 or more years. Decanter - Medium to full bodied. Fine texture and tannins. Fresh and long. Well-crafted wine which is hard to fault.